The Villanova Wildcats wear blue bracelets marked with the word attitude. 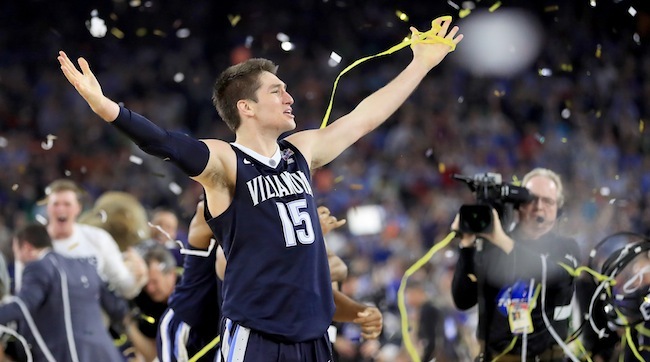 In Monday night’s NCAA national championship game, Villanova point guard Ryan Arcidiacono showed that he was in complete control of his attitude. 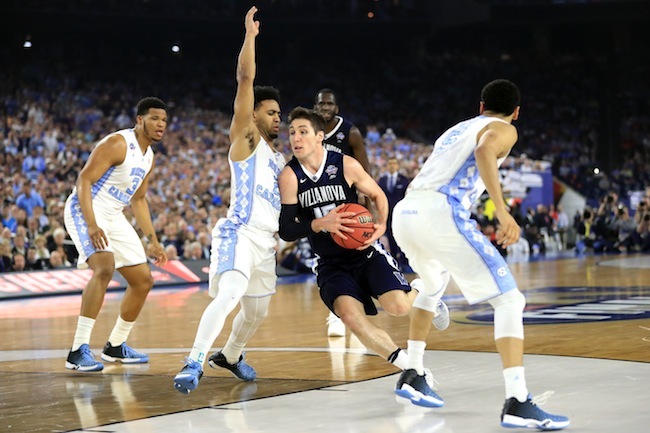 Arcidiacono, a graduating senior, put up 16 points and made the game-winning assist to Kris Jenkins in Villanova’s buzzer-beating 77–74 win over North Carolina. This came on top of Arcidiacono’s 15 points in Villanova’s 95–51 semifinal win over Oklahoma on Saturday. His performances earned him the Final Four’s Most Outstanding Player award. Some are calling the last moments of Monday’s final the most dramatic ever in college basketball. With 4.7 seconds left on the clock, North Carolina senior Marcus Paige tied the score with a double-clutch three-pointer. Paige later said that he told his teammates he thought they would go on to win in overtime. ​Villanova had other plans. The Wildcats called a timeout, and Arcidiacono said that his team was calm in the huddle. “We knew what we were going to do, and we just executed,” he recalled. Jenkins inbounded the ball to Arcidiacono, then sprinted up the court to get into position, yelling Arcidiacono’s name. Arcidiacono made the perfect pass, with Jenkins putting the ball in at the buzzer. At the post game press conference, Wright spoke about how Arcidiacono’s maturity was important to pulling off Villanova’s big win.